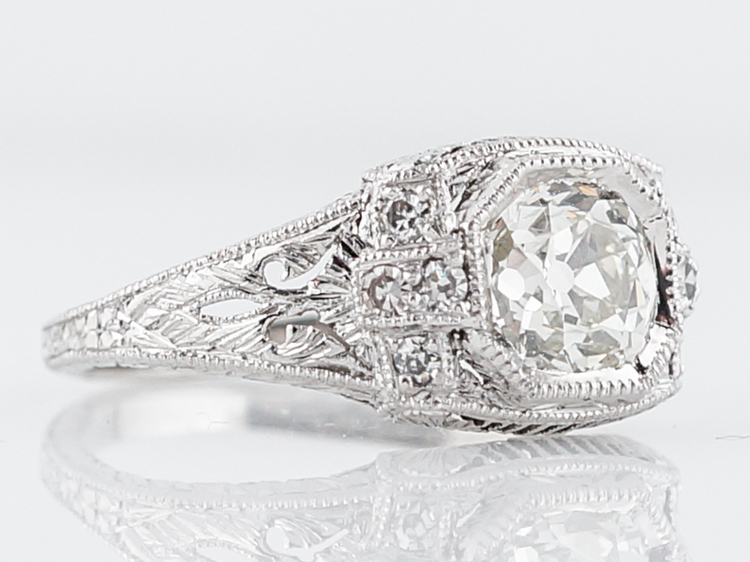 This original vintage art deco engagement ring features a stunning 1.65 carat old European cut diamond. 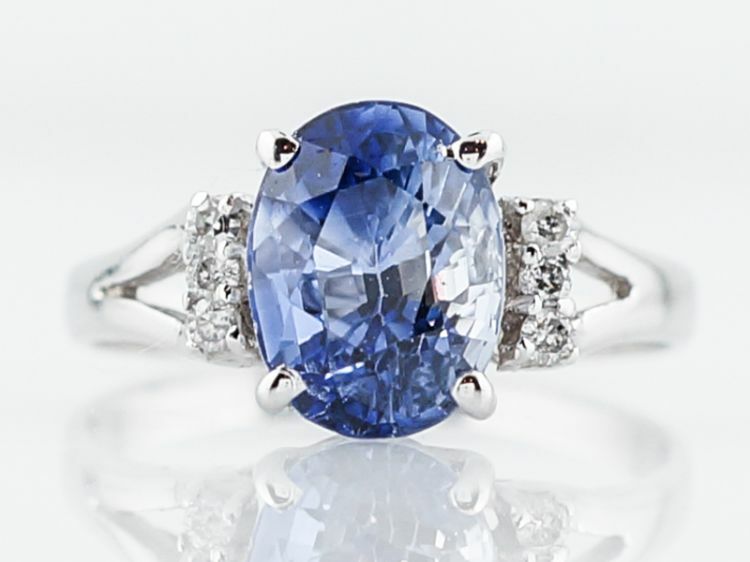 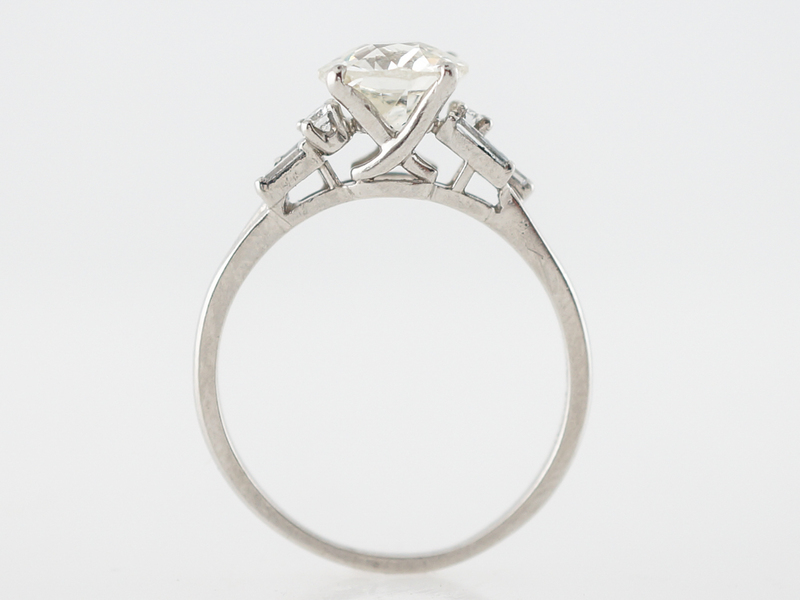 The GIA certified center stone is held by four corner prongs which allow for maximum scintillation as the stone is in full view. 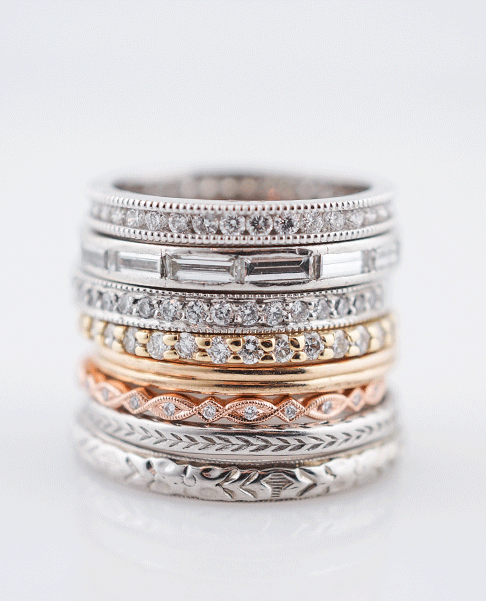 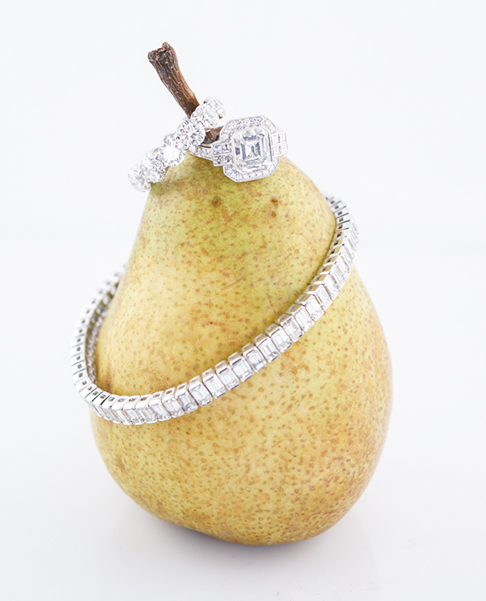 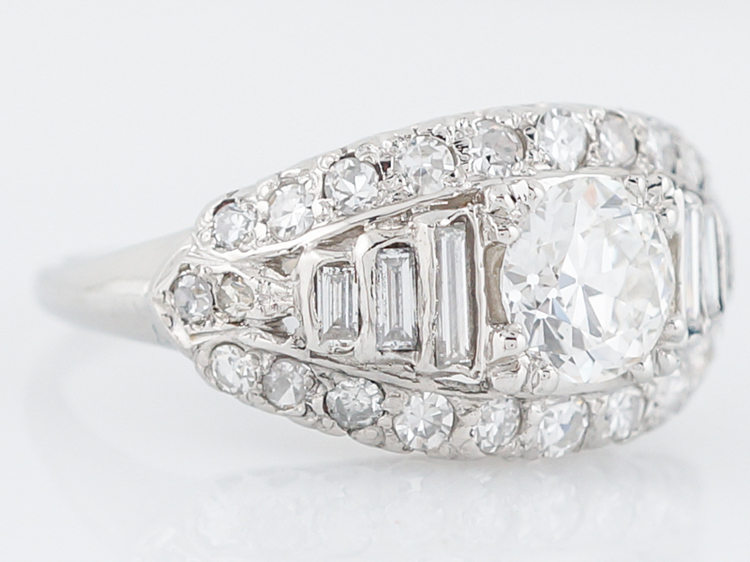 Accenting the center diamond are four additional baguette diamonds that add an additional hint of sparkle and lend to the rings unique design. 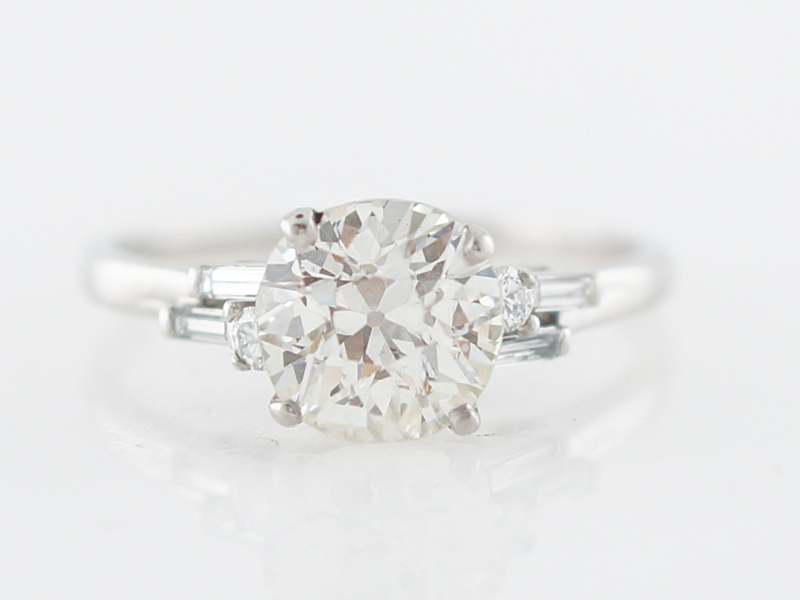 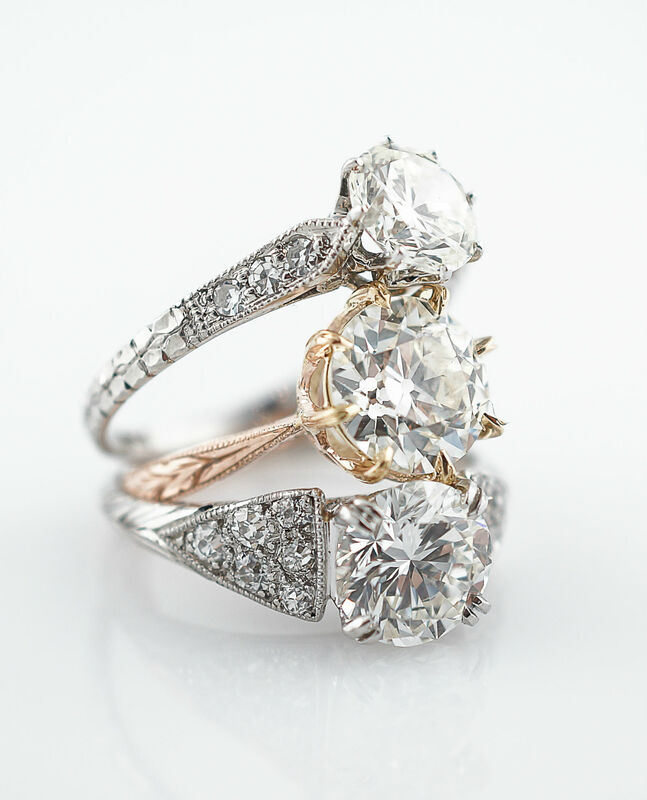 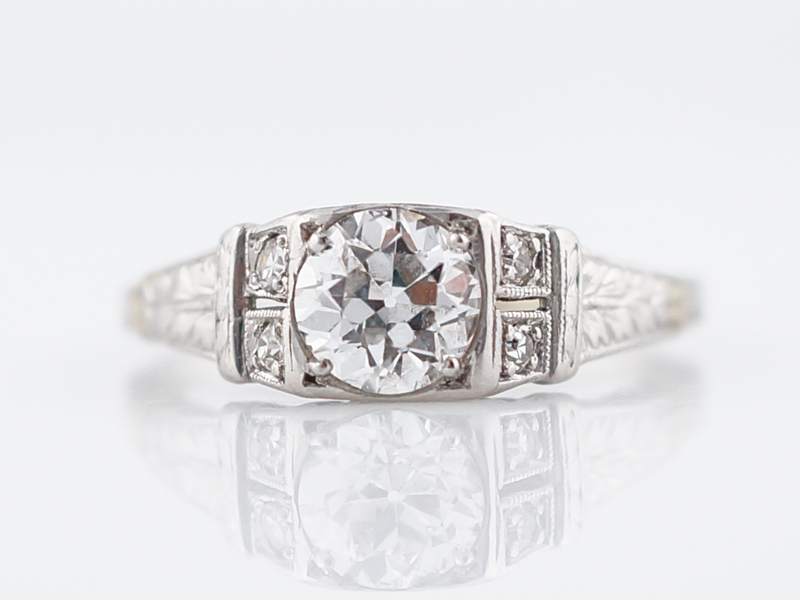 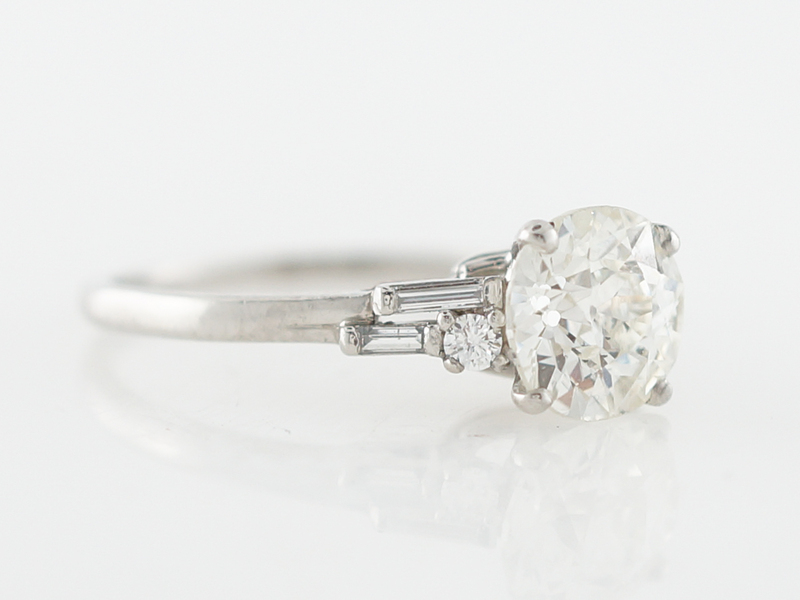 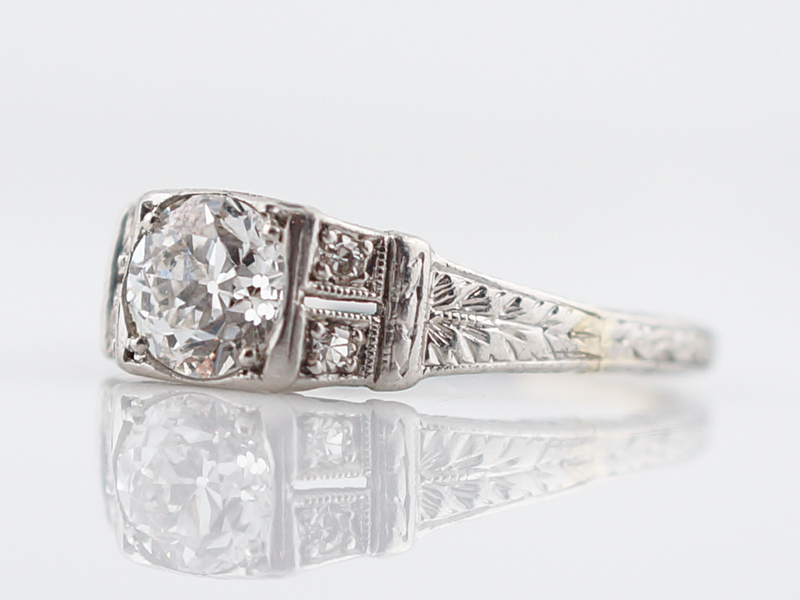 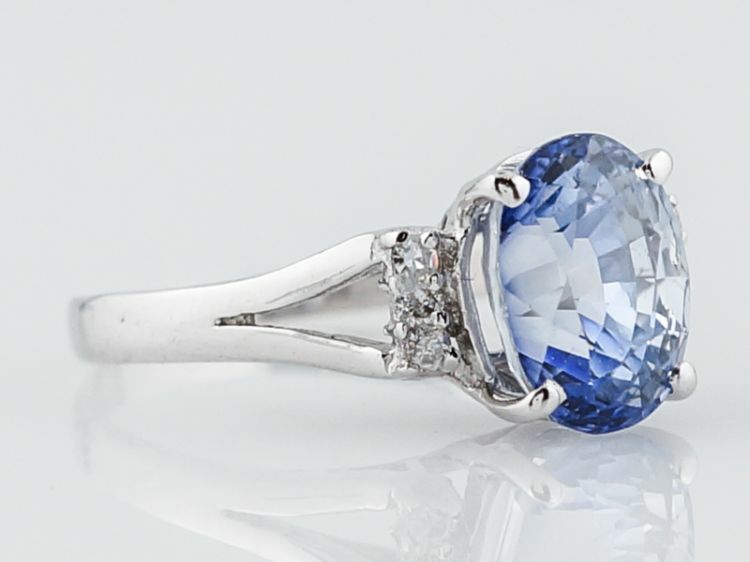 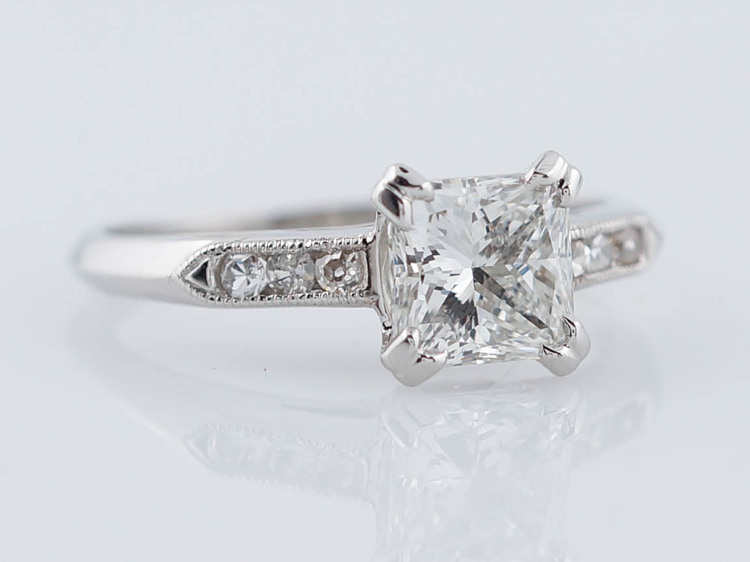 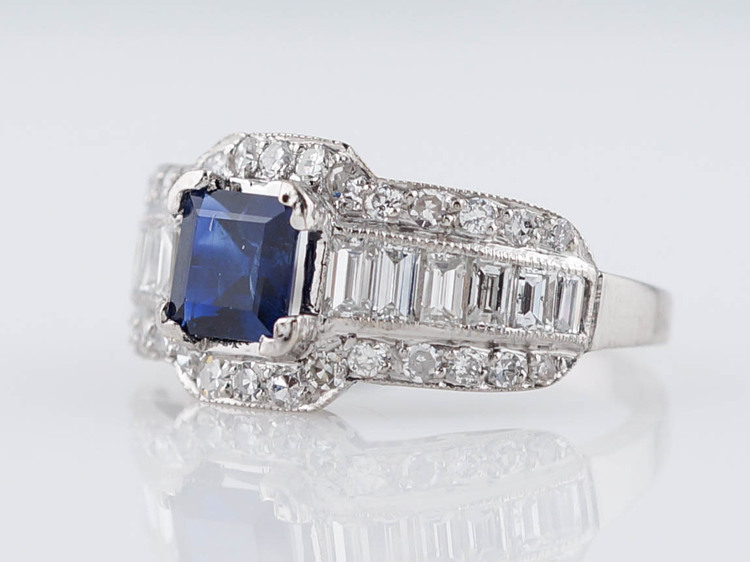 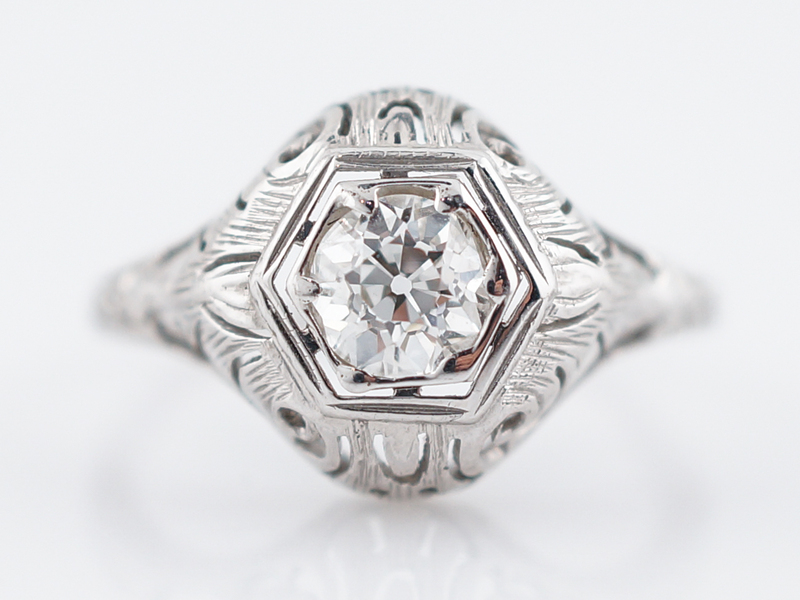 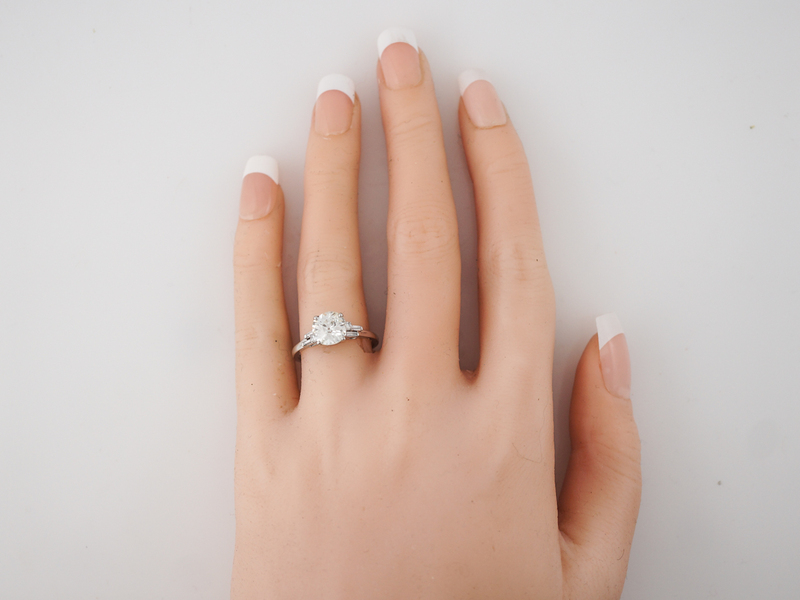 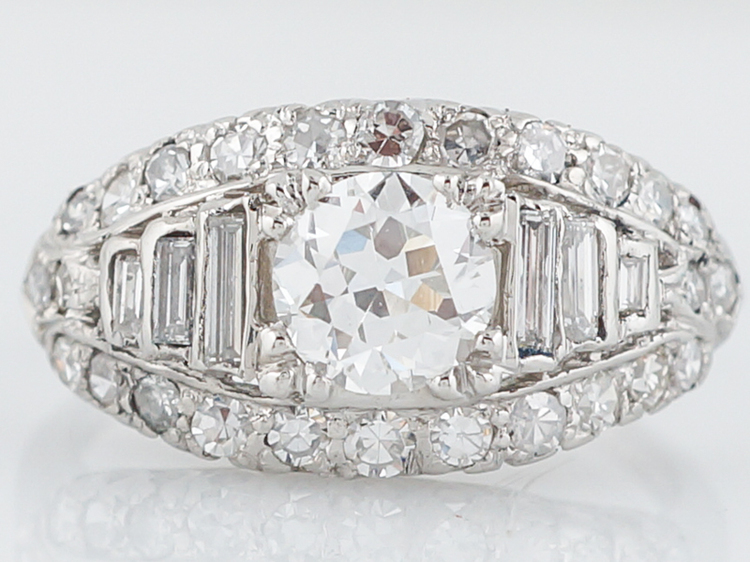 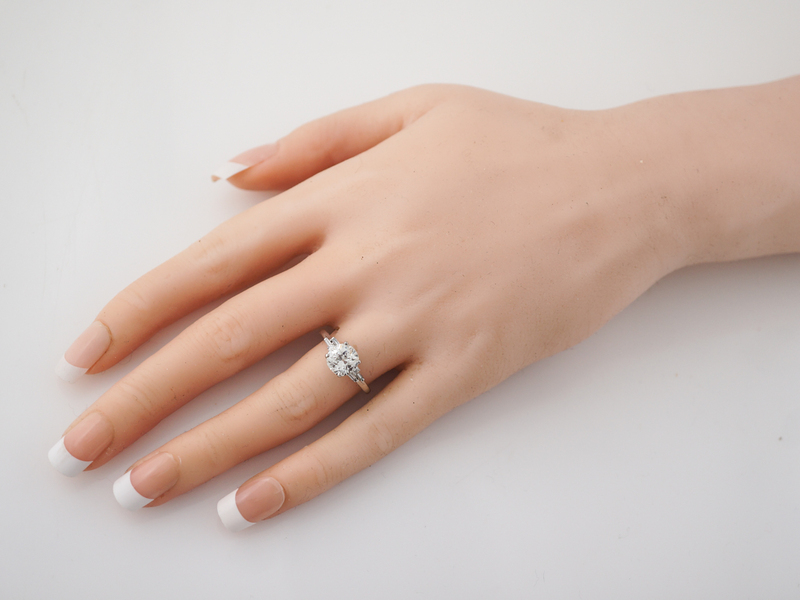 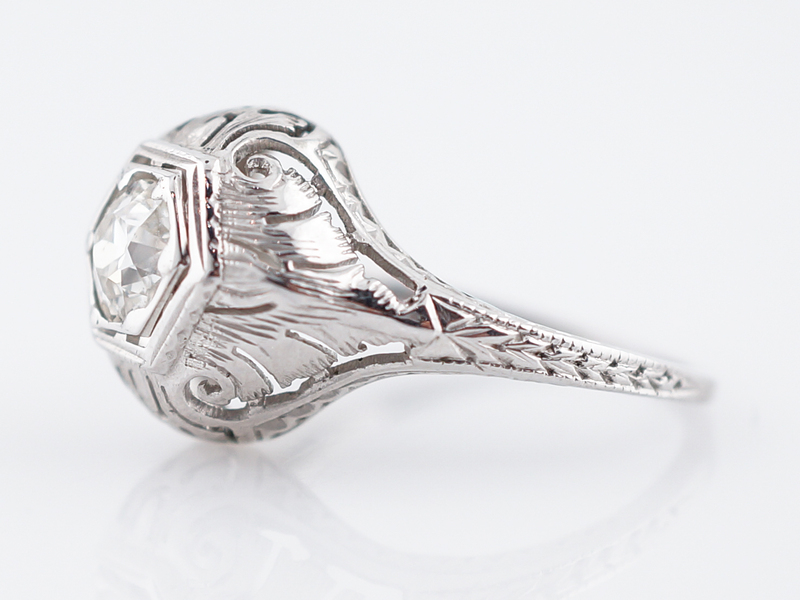 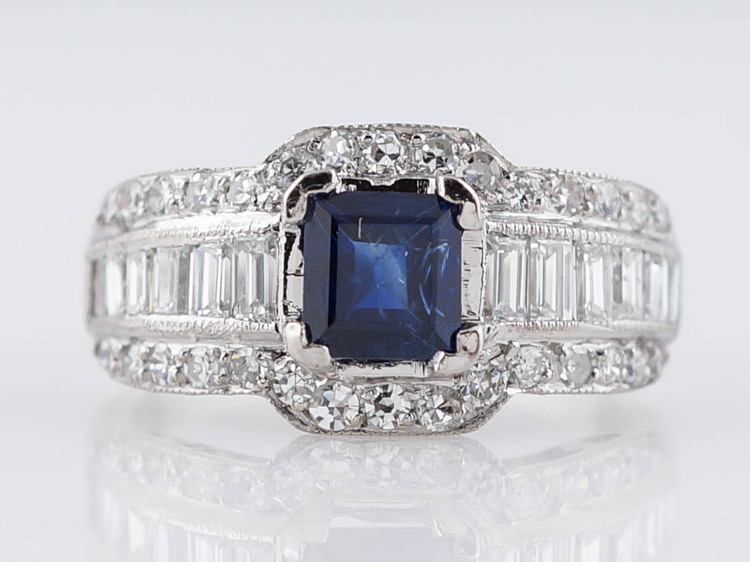 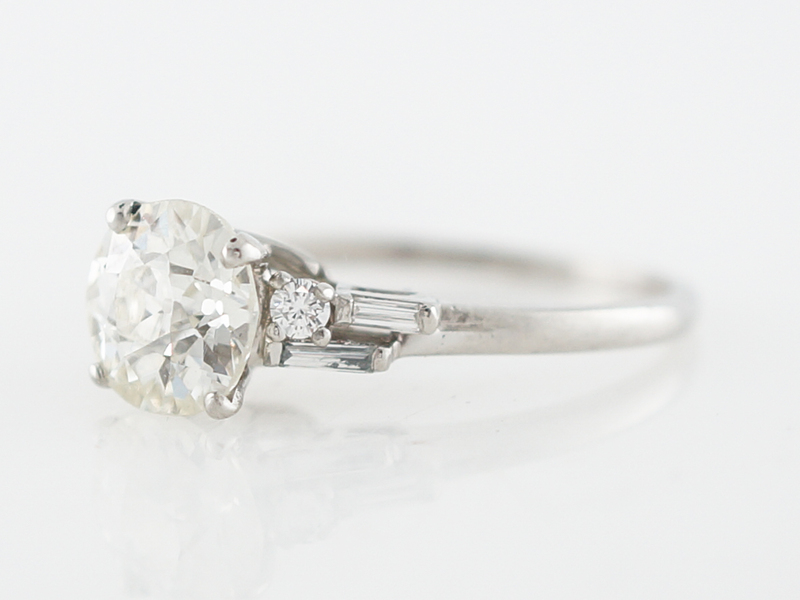 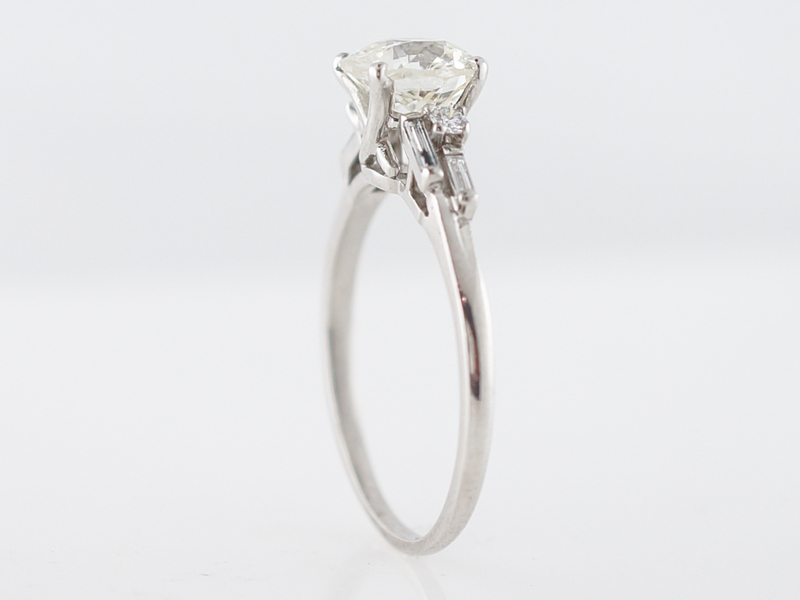 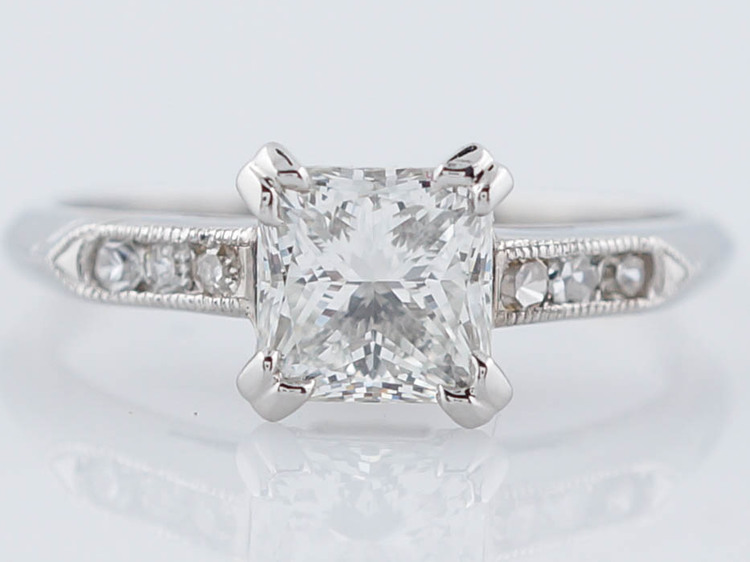 This late art deco engagement ring is a true one of a kind!